Not just for savoury dishes, basil gives an interesting herby taste to sweet drinks and dishes. 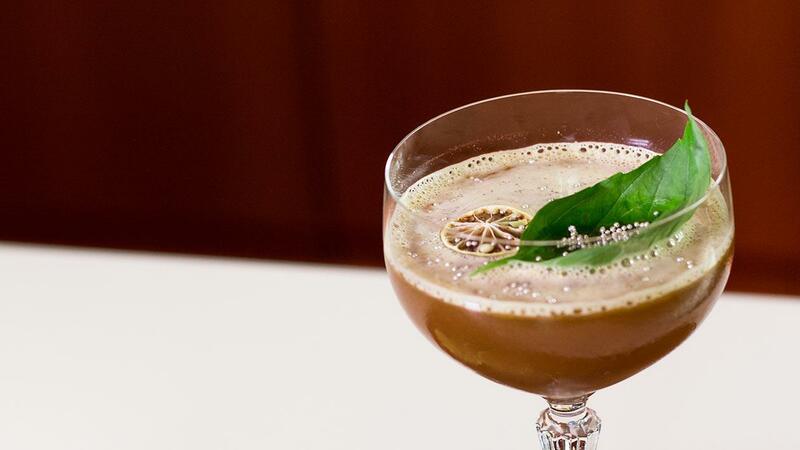 In a shaker, combine 120ml of pre-brewed tea, Monin yuzu fruit mix, lemon slice and basil leaves. Add a scoop of ice and shake well. Double strain and serve in a glass. Garnish with basil leaf and silver sugar balls on top.